A virtual assistant can be defined as an independent contractor who works from home providing administrative, creative or technical support by utilizing advanced technological modes of communication and data delivery. 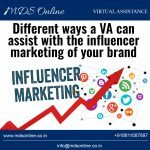 The various services provided by a VA can be categorized under virtual assistance, writing assistance, website assistance, graphics assistance, virtual reception, infusionsoft assistance etc. A virtual assistant can provide your business with technical, professional, administrative or creative services. They can assist you from anywhere across the globe, performing tasks like database update, conduct research, organizing your inbox, proofreading business documents, scheduling appointments and meetings, making travel arrangements, etc. They are the one who can provide you with strategies to overcome administrative challenges, partner with you to help your clients to accomplish their goals and subsequently help your clients take their business to the next level. Virtual assistants are becoming a craze these days. But you must not hire them blindly. You may consult your advisor or may go through reputed sites which hire VAs. Operating costs are a constant source of worries for business owners as they go through the rigors of their businesses day in and day out. Virtual assistants can be of tremendous help to them in minimizing the day-to-day operational costs. Business owners have acknowledged that the cost of hiring a virtual assistant is much less than hiring a regular employee for most of the tasks associated with a business. A virtual assistant does not require any casual leaves, retirement benefits, sick leaves or any other fringe benefits to be paid, unlike a regular employee. He needs to be paid only for the length of time he is at work. It’s simply ‘no work, no pay ‘for a virtual assistant. The core team in any business has to take the burden of moving the business forward and needs to lead from the front, through their fair share of challenges. The cannot engage themselves too much in non-core activities like making travel arrangements, sending newsletters, handling customer queries, preparing invitations for meetings and so on. These kinds of works rarely add value but cannot be dispensed with and are parts of a never-ending loop for a management. To involve the core team or even regular employees for these kinds of works are regarded as a sheer waste of resources. Such non-core works can easily be diverted to virtual assistants. By hiring virtual assistants for such less-important and non-core administrative works an organization can optimize their precious effort and time in a more meaningful way. They can also channelize their resources and business activities much better in this way. Time is a scarce resource for any business and it just cannot afford to waste it by using it ineffectively. Assigning less important works to virtual assistants allows a management to streamline the processes it wants to accomplish within the stipulated period of time. It can also exercise better control over the proceedings on a day to day basis. 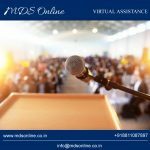 Therefore, there is no doubt that virtual assistants can make a lot of difference and boost the productivity of the business to new heights. A business can never be perfect as it will always have its fair share of drawbacks, issues and resulting setbacks. These will always pose challenges in the path taken by a business to achieve their goals and objectives. 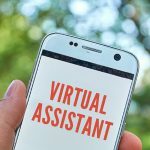 Virtual assistants can offer tremendous help to a business in this regard as they have the capacity to bridge the gap between available and desired skill sets of their employees. 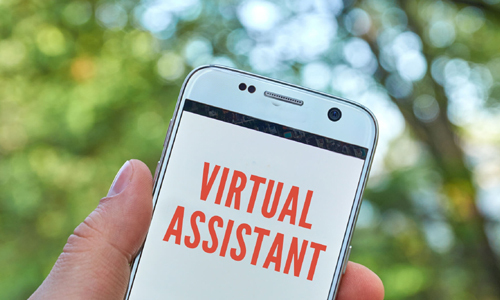 Virtual assistants are no ordinary workers any longer; rather they are seasoned professionals in their given fields and possess the requisite skills to perform their assigned business tasks with the utmost proficiency. Many new avenues have come to business these days and organizations are not left with enough time to train their regular employees in these new skills/competencies, before assigning such tasks to them. 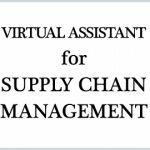 But, such tasks that demand specific skills/ competencies task can be assigned to the virtual assistants as they are professionals and can offer time bound solutions for such tasks. To attain a continuous and sustainable growth is the ultimate agenda for any business and it wants to scale up to its desired level, within its desired timeframe. It just cannot afford to remain stagnant and fall behind the competition at any cost. Virtual assistants can give a business the much-needed flexibility so that it can attain its desired scalability well within the set timeframe. A virtual assistant is not restricted by the limitations of place and time. You can engage a virtual assistant from another time zone altogether and he can work for you online, round the clock as and when you wish him to have his services. He can be managed as per your wish. He can be hired as and when you feel the need and can even be fired if there is no need of him to be kept in service. A termination of the contract is the only thing required to relinquish a virtual assistant of his duties. Doing these things with a regular employee is not as easy and you may get involved in legal tussles too in some cases. Also, there is nil of minimum training cost when you engage virtual assistants. Invariably, they are professionals in their given fields and they will be up for the job immediately upon hiring. They are absolute assets whenever an organization thinks of scaling up quickly. Virtual assistants offer tremendous power and flexibility to an organization if they are used effectively with a strategic approach. It’s up to the organizations now to acknowledge the huge potential of virtual assistants and focus on core competencies to ensure more success to the business.